I was recently contacted by the marketing department of the Copenhagen-based company Sleeklens to review their Lightroom workflows and Photoshop actions. 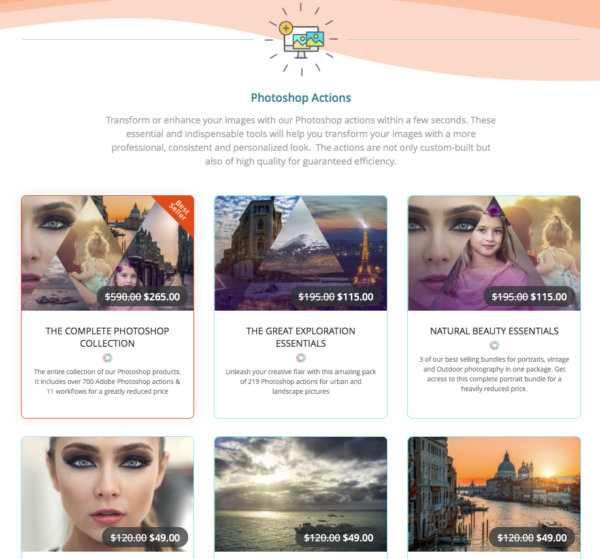 In the interest of transparency I was offered a set of Photoshop actions at no charge in exchange for an objective review of their product. On their website https://sleeklens.com they state “Our goal is to provide a product that works ‘with’ you, not ‘for’ you”. I thought it would be interesting to use this review to see how well they achieve their goal. As a commercial photographer I focus primarily on architectural, product and food photography so I requested the Landscape Adventures bundle for Photoshop, my primary photo editing software and tried it out with some of my architectural photography. I found the installation very easy. Simple instructions on their website will guide you through the process even if you’re relatively new to Lightroom or Photoshop. You’ll be up and running in no time! Working with the Sleekness actions in Photoshop is equally simple. Within the Sleekness action set you’ll find 56 individual actions organized into useful categories. Most, though not all, have meaningful names that will give you a pretty good sense of how they’ll effect your images. This prevents the need to apply them just to see what they do. For a full list of the actions contained within the Landscape Adventure Collection visit https://sleeklens.com/product/landscape-adventure-photoshop-actions/. You’ll find lots of examples of how the actions can work “with” you here. In addition to sample images you’ll find tons of resources including a complete list of actions and great video tutorials on how to install and use them. Once you’ve installed the actions into Photoshop you’ll notice them neatly bundled in your Actions window. To apply an action all you have to do is click once to select it and then click the Play button at the bottom of the action panel. Photoshop will quickly run the steps within the action. Sleeklens will offer tool tips along the way to help you achieve the look you want or discover new possibilities for your work. This is an awesome feature that will help you achieve the look you want or unlock new looks FAST! What I love about this action set is the way it allows me to make quick adjusts to my images while retaining the ability to tweak them so they’re just right. No “canned” filter looks here! I also found that most of the actions I tried use adjustment layers rather than pixel layers. This helps keep your files relatively small and nimble especially when compared to some of the other filter sets on the market. Whether your use Lightroom or Photoshop, shoot people, landscape or architecture, consider yourself a novice or professional, I’m sure you’ll find that their easy to use products will help you achieve your look in a fraction of the time it currently takes. You may even discover a new looks in the process! In my opinion, the folks at Sleekness not only live up to their goal of “providing a product that works ‘with’ you, not ‘for’ you” but do so at a very reasonable price!